The Tick Testing Laboratory at The Connecticut Agricultural Experiment Station is reporting the first evidence of an east Asian longhorned tick biting a resident of Fairfield County. This newly discovered tick is a major livestock pest that feeds on a wide variety of mammals including humans, but it is not clear how often. Longhorned ticks have been found to carry several human pathogens in Asia, but it is unknown if this tick will be capable of transmitting native pathogens such as those that cause Lyme disease, babesiosis, anaplasmosis, or Powassan virus. The tick, which has the scientific name Haemaphysalis longicornis is an invasive species that was initially discovered on a farm in New Jersey in 2017. It was most recently detected in Connecticut in July 2018. “The identification of an Asian longhorned tick feeding on a state resident underscores the importance of our tick-testing program in helping to corroborate the capacity of this tick to bite humans outside of its native range,” said Dr. Theodore Andreadis, Director of the CAES in a news release. “Going forward, it will be imperative to more fully assess the risk associated with this tick and its capacity to transmit local disease-causing pathogens”. Testing is performed for three human disease causing agents: Anaplasma phagocytophilum, the causative agent of Human Granulocytic Anaplasmosis; Babesia microti, the causative agent of Babesiosis; and Borrelia burgdorferi, the causative agent of Lyme disease. Testing is performed on nearly 4,000 ticks annually. History shows authorities downplay all of this. It’s imperative we don’t continue to allow them to take this approach. 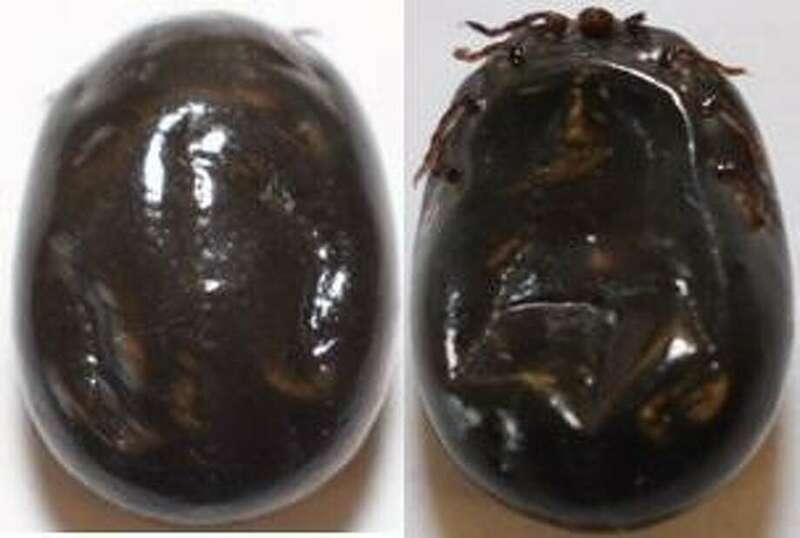 ALL ticks have the potential to spread pathogens. Prudence would err on the side of caution. Besides that, all the statistics in the world don’t matter when you are the sorry sucker who gets infected with something that shouldn’t happen! This idea that unless it’s on Pubmed to be taken seriously has to go. The data that keeps pouring in is that ticks and the pathogens they carry continue to befuddle authorities. Don’t take their word alone for it. Corroborate their words and research it out yourself. More on the Asian Long-horned tick: https://madisonarealymesupportgroup.com/2018/09/12/three-surprising-things-i-learned-about-asian-longhorned-ticks-the-tick-guy-tom-mather/ Main takeaway: great picture showing the nymphs lined up like wheat kernels. They explode when something brushes by. Let me be clear – there’s NO SUCH THING AS AN IRRELEVANT TICK BITE!